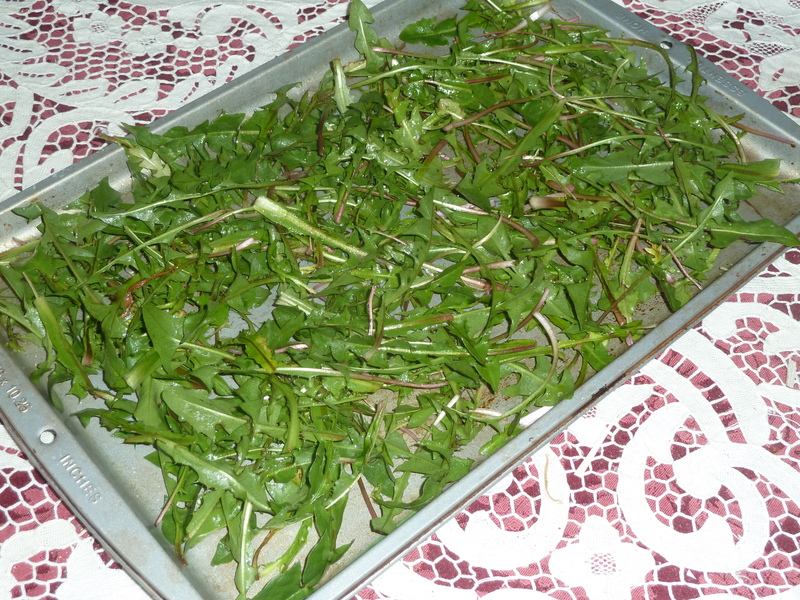 I came across this recipe for dandelion chips the other day – kind of like kale chips but made with dandelion greens. I like kale chips, so I decided to try it. I pretty much followed the instructions as given, except I ignored the part about spreading the leaves in a single layer. I just piled them all on the baking sheet. 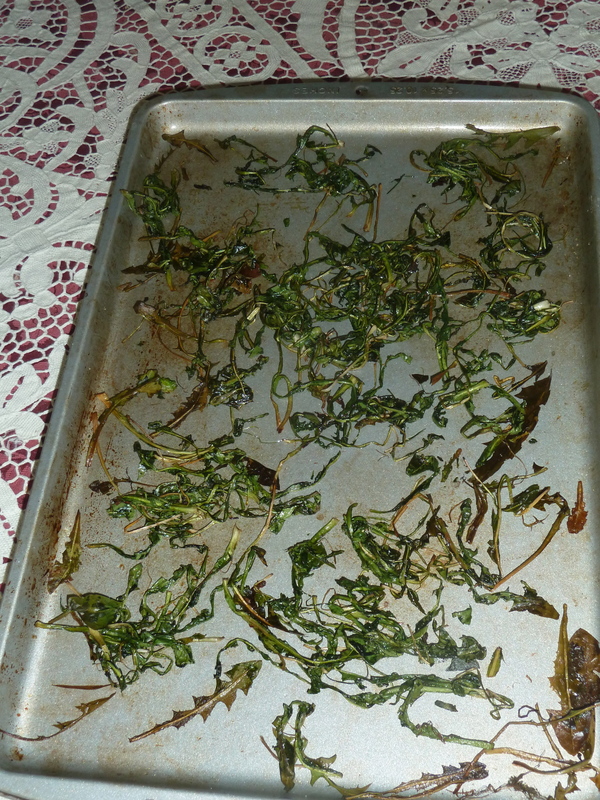 I drizzled the leaves with olive oil and sprinkled them with a little salt, then stuck them in a 350-degree oven until crisp. That took about 12 minutes. You can see that there’s quite a bit of shrinkage involved. Nevertheless, they turned out pretty good, slightly bitter, but I like that. Then, I wanted to try something with dandelion flowers since the dandelions are blooming now. There are a lot of recipes around for dandelion bread and cookies and muffins, so I thought baking something would be a good idea. I decided on biscuits. 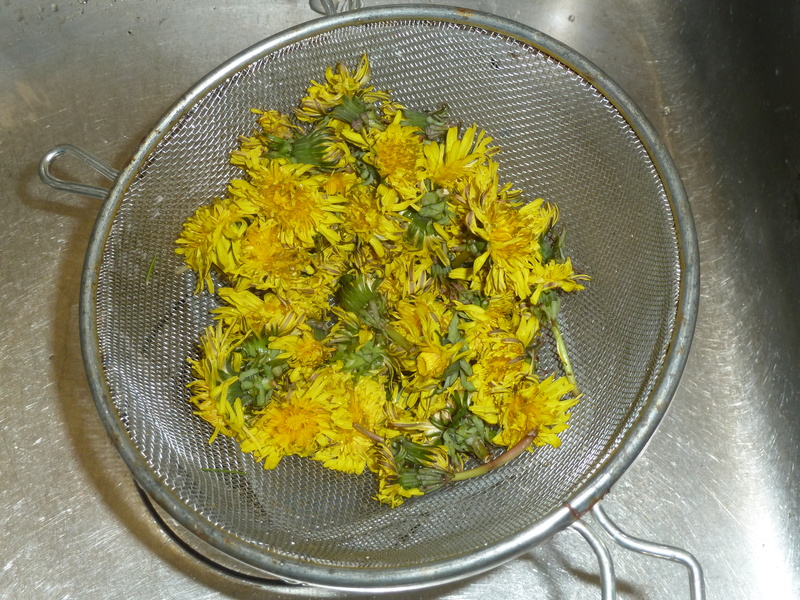 I collected a large handful of dandelion flowers and removed the yellow petals from the calyx. I added half a cup of the petals to a batch of biscuit dough, between the steps of cutting in the butter and adding the milk. I used a biscuit recipe from an old edition of the Joy of Cooking, but you can use any biscuit recipe you like if you want to try this. The dandelion biscuits came out looking like ordinary biscuits, and they pretty much tasted that way too, with perhaps just a faint reminiscence of a dandelion taste. 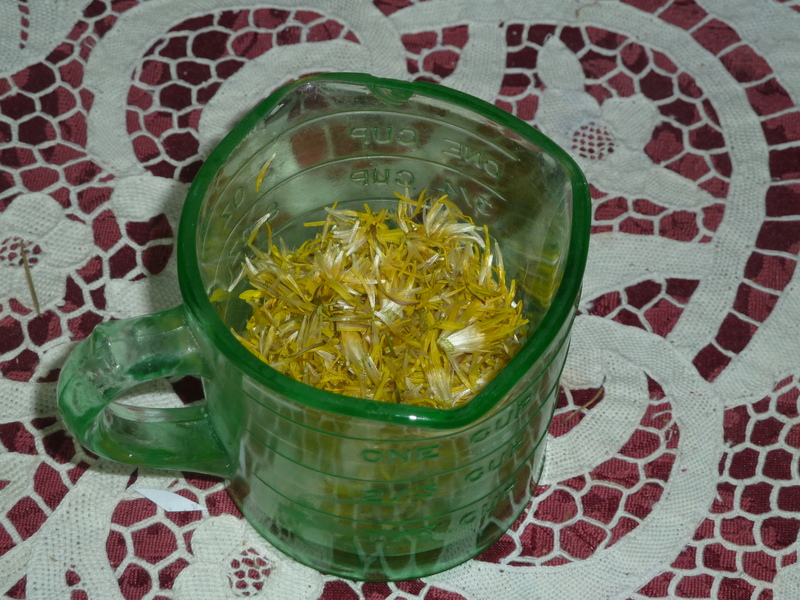 An interesting experiment, but I think I’ll be looking for something more interesting to do with dandelion flowers. Baking doesn’t seem to bring out their best features. This entry was posted in wild foods and tagged dandelions, flowers, wild foods. Bookmark the permalink. All content provided on this blog is for inspiration and entertainment purposes only. The owner of this blog makes no representations as to the accuracy or completeness of any information on this site or found by following any link on this site. The owner of this blog will not be liable for any errors or omissions in this information nor for the availability of this information. The owner will not be liable for any losses, injuries, or damages resulting from the display or use of this information. The reader is responsible for ensuring accurate plant identification and for consulting with a health professional before eating or touching any wild plant or other foods.